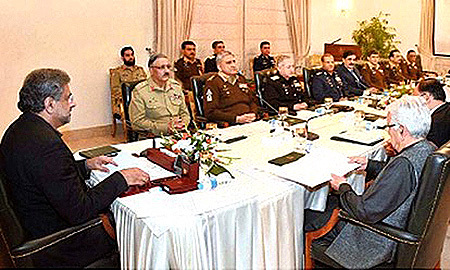 The meeting was attended by Members of the NSC including the Federal Ministers of Interior, Defence and Foreign Affairs; Chairman JCSC and Service Chiefs. National Security Advisor to Prime Minister and Pakistan’s Ambassador to the US were also part of the meeting. H.E. Mr. Yao Jing, Ambassador of China, met with Chairman JCS Committee at the Joint Staff Headquarters, to discuss matters related to changing geostrategic environment. The COAS also discussed military ties between the two nations with Saudi Commander of Ground Forces Lieutenant General Prince Fahd bin Turki bin Abdulaziz. The trip was not reported by the ISPR. 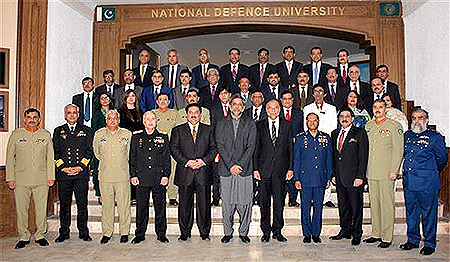 Federal Ministers for Defence, Interior, National Security Advisor, Chairman JCS Committee, Chief of Naval Staff and Chief of Air Staff were also present on the occasion. The Pakistan Hockey Federation (PHF) invited Hockey World XI and hall of famers to Pakistan in order to revive hockey in Pakistan. The players met the COAS on January 23, 2018, who praised PHF for bringing the international players to Pakistan, and promised Pakistan Army’s support in provision of security for international hockey matches. PHR President, Brigadier Khalid Sajjad Khokar (Retd.) 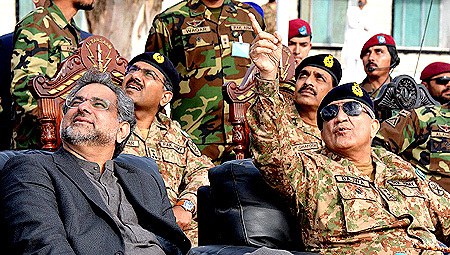 thanked the COAS for his keen interest in the sport and his effort to revive international games in Pakistan. A 24-member delegation of the Foreign Office consisting of Attaches and Advisors visited the Corps Headquarters Peshawar on January 25, 2018, where the delegation was briefed on the ‘prevailing security environment in KP/FATA,’ development activities undertaken by the Pakistan Army in FATA to improve the lives of the tribal people. The delegation was also briefed about the achievements of operation Khyber-4 and ongoing fencing along Pak-Afghan border.